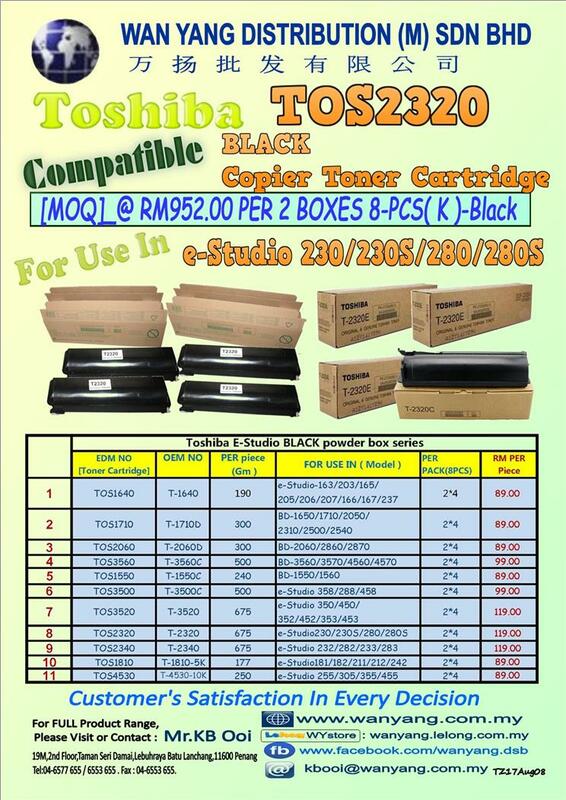 SELLING @ RM952.00 PER 8 PCS-[MOQ]. FOR USE IN :e-Studio 230/230S/280/280S. 3-Toshiba BD-2060/2860/2870 -BLACK COPIER TONER CARTRIDGE. 11. 11-Toshiba e-Studio 255/305/355/455 -BLACK COPIER TONER CARTRIDGE….etc.